Our guide on starting a record label covers all the essential information to help you decide if this business is a good match for you. Learn about the day-to-day activities of a record label owner, the typical target market, growth potential, startup costs, legal considerations, and more! Do you have a passion for music? Do you love discovering new and original bands and solo artists? Perhaps you should start your own record label and present your new finds to an equally appreciative audience. With the Internet, it can be easier than ever to start at least a tiny independent, or indie, label and generate a response. You must love and recognize your definition of good music. Your communications skills are equally important since you’ll need to get unsigned bands to share your enthusiasm and be able to sell your music to listeners and possibly distributors, entertainment venues and other players in the field. What happens during a typical day at a record label? There are many facets to this business, so each day is exciting and different. Here are a few of your key responsibilities. Go to bars, clubs and other performance venues where your signed bands are playing and find out who your customers are in terms of age, fashion, education level, and lifestyle. This will help you determine how to target and communicate with your audience. How does a record label make money? Music is sold today in a variety of ways, including through both digital and physical channels. Fans buy vinyl records, compact disks, MP3 files and streams from websites such as Spotify. In addition, labels can earn money through licensing deals involving use of the music in soundtracks in film and television, and in commercials and video games and other commercial outlets. Additional income might be generated from digital and satellite transmission, such as by Sirius Radio. And finally, some indie labels sign their talent to what’s called 360 deals, in which the label takes a revenue split for booking the talent in live shows, selling t-shirts and other merchandise and generating other associated income streams. What is the growth potential for a record label? Today’s music market is splintered, with more channels and sub-genres than ever. The cost of entering the market is also relatively small, with online-only distribution possible. However, unit sales can be modest. According to this source, about 90 percent of released music fails to break even. So you might want to keep the day job until your music breaks. What are some skills and experiences that will help you build a successful record label? You must have an ear for music and not be easily discouraged. You’ve got to be your talent’s biggest fan and be tenacious at getting the word out. What are the costs involved in opening a record label? Recording -- Zero to $15,000 or more. Producing a record at a commercial sound studio can cost hundreds of dollars an hour. If you’re going this route, be sure that your talent is well rehearsed before entering the studio and that the time is efficiently used. 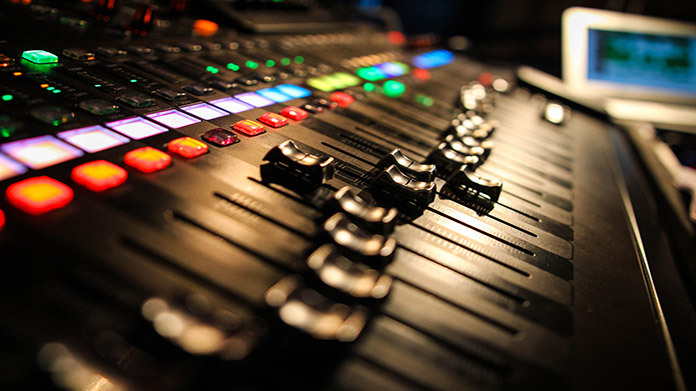 Some label owners enter the field as audio engineers or music producers and can record talent in their own commercial or at-home studios. And yet others might only contract with artists who’ve already recorded their work and focus on marketing and distribution of the music, avoiding recording costs altogether. Graphic design -- Many hundreds of dollars, on up. This includes the cost of the label’s logo design and the look of your first product. Manufacturing -- About $1.2 per unit for CDs and $5 or $6 or more for vinyl. Because of the steep cost of pressing music, many labels solely release digital music. Entertaining, networking -- Several hundred dollars a year or more. You’ll frequently attend shows and hang out with talent. This cost includes tickets, drinks, travel, and possibly more expensive recruitment costs. At the low end of this budget item the assumption is that you’ll find most of your talent locally. If you’re scoping out the scene nationally or even internationally, this cost obviously escalates considerably. Promotion -- Typically, a few thousand dollars. Some labels work with publicists, music promoters, booking agents and others to increase awareness and spur record sales, radio play and ticket sales to live shows. Legal services -- $500 to $1,000. You can find artist contract templates online, but you’re better off enlisting professional guidance in writing at least your first contracts. 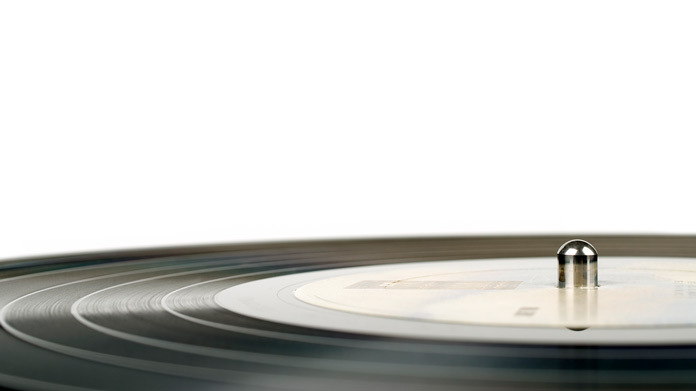 What are the steps to start a record label? Form a legal entity. Establishing a legal business entity prevents you from being personally liable if your record label is sued. Open a business bank account. A dedicated checking account for your record label keeps your finances organized and makes your business appear more professional to your customers. What are some insider tips for jump starting a record label? Learn all you can about the music business, and remember that it’s both music and business. You’re probably well motivated to hang out at performance venues listening to music and discussing the topic with fans, but don’t neglect the business side. Legal contracts are boring to read and learn about, but they’re critical. So is a thorough understanding of the various revenue streams and distribution channels involved. Today’s young music buyers (and young describes the typical consumers of new music) are very savvy to the web and to social media. Make your music and band news available on Facebook Groups, YouTube, SoundCoud, Pandora, Spotify, and other venues where fans hang out or find new tunes. Try to get to the point where your label means something to an audience. Many music fans can’t even identify a single label, but if yours is identifiable with a certain genre, sound, attitude and level of quality, you can get to the point where they buy your latest release not because of the unknown band or performer, but because it comes from your house. You can run your label alone until you have the cash flow and need to draft talent scouts or a support team. You should expand your roster slowly and efficiently enough that you don’t lose focus. Try to form working partnerships with trusted producers, engineers and sound studios to rein in production costs and deliver a consistent sound. Certain state permits and licenses may be needed to operate a record label. Learn more about licensing requirements in your state by visiting SBA’s reference to state licenses and permits. A record label is generally run out of a storefront. Businesses operating out of a physical location typically require a Certificate of Occupancy (CO). A CO confirms that all building codes, zoning laws and government regulations have been met. Before leasing, confirm that your landlord has or can obtain a valid CO that is applicable to a record label. Review all building codes and zoning requirements for your business’ location to ensure your record label will be in compliance and able to obtain a CO.
Prices are pretty much determined by the market. Vinyl records generally sell for $18 0r $20, while compact disks sell for a bit less. Streaming services such as Spotify might pay a fraction of a penny per play and iTune downloads might sell for $7 or $10 for an album or a dollar for a single. Because manufacturing and packaging costs are so high for physical units, the label might only make a dollar a unit once the manufacturer, artist and music composer/publisher are paid. On the other hand, the label and its talent can snag more than half the cost of an iTune download. What are the ongoing expenses for a record label? Your largest ongoing expenses are likely to be the costs of pressing new physical units (CDs and/or vinyl, mostly) and promoting new releases. Most of your other costs will be reflected as a percentage of sales (ie: the cut of the recording artists, composers, and distributors). How much profit can a record label make? Consider XL Recordings, the small British indie label that discovered and released music for the likes of Adele, Radiohead, Vampire Weekend and other wildly popular national acts, selling million of units in the process. Almost 40 percent of music today is produced by indies. That’s because much of it can be streamed or downloaded, which greatly reduces physical material costs. Distribution is also easier online -- at least theoretically. The downside of all of that potential is that competition is steep. Many indie labels only sell a few hundred units, and much of the business is conducted on a part-time basis. Consider producing compilation albums as samplers of your label’s artist roster. Also, explore opportunities to record music or other indie labels or consult in the distribution of their output. And finally, get the full involvement of your artists. They should perform frequently and sell records and merch at shows.